2010 Gonda Civic DX runs and drives great. In perfect shape. 4 cylinder 1.8 liter engine great on gas. Automatic transmission shifts perfect. Fully serviced and well maintained. Clean carfax, no accidents, clean title. Complete with am/fm stereo, cd player, AUX audio, ice cold a/c, power locks, windows, mirrors, tilt wheel steering, ABS, traction control, dual air bags and side air bags. PLEASE stop by for a test drive today! We are open Monday-Saturday 10am-630pm. Call Mike at 512-413-8135 for more info. Visit our website texascentralmotors.com for our entire inventory! 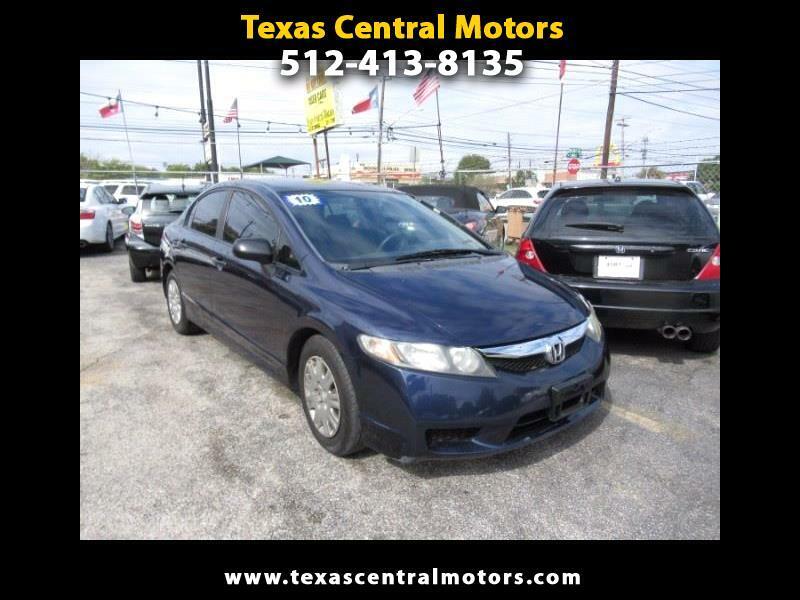 Visit our website http://www.texascentralmotors.com for more information and photos on this or any of our other vehicles or call us today for a test drive at 512-413-8135 or 512-371-7199. Message: Thought you might be interested in this 2010 Honda Civic.